Whether you have a massive backyard or a tiny apartment patio, combine these vintage finds to create a cozy dining area. Looking to give your outdoor spaces a touch of creativity this summer? 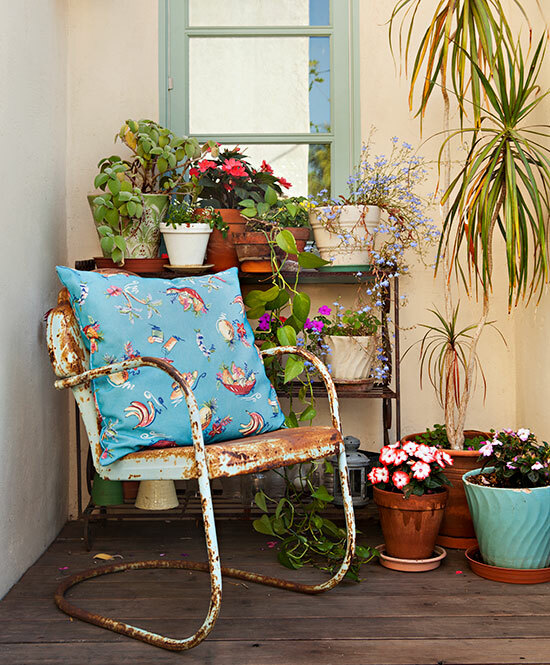 Incorporate some vintage finds to create a stunning flea market patio. Flea market style marries wonderfully with outdoor gathering places thanks to the casual and laid-back appeal of worn and weathered finishes. In Gardenista author Michelle Slatalla sings the praises of decorating your outdoor spaces with a mix of old things. Gardens are also a great place to get creative–vintage finds are inexpensive and you won’t worry about weatherproofing or sun damage because chances are, the elements will only add to the aged patina! How to get started? 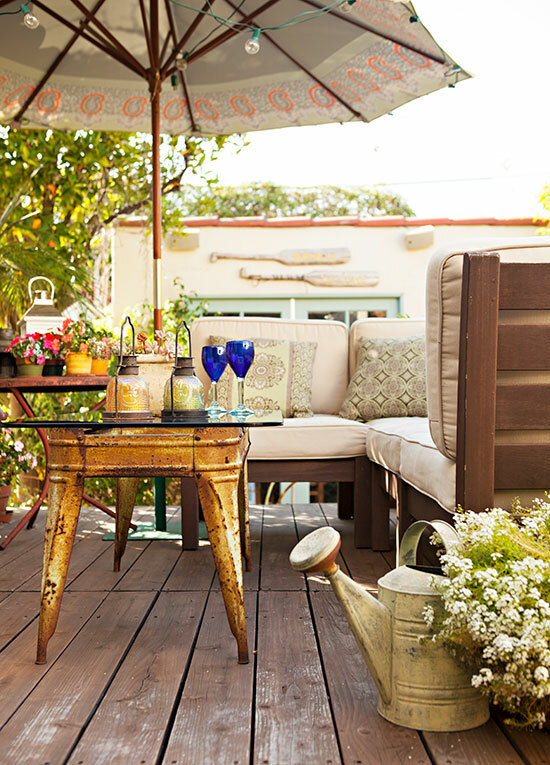 Consider these five elements when creating your flea market patio. The focal point of any gathering area is the table, and an outdoor patio is no exception. 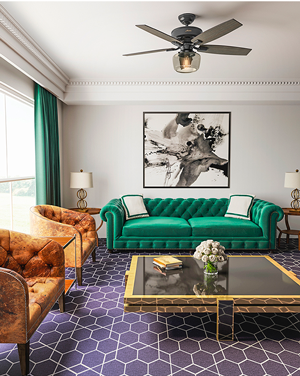 Your table will help determine the style and feel of the space, so get this piece first. If you’re budgeting for your flea market patio, spend the most money here. Before you shop, determine how many people will comfortably fit in the space; then search the flea market for a table that will fit the bill. Look for other items that can be transformed into a great outdoor table. A rusty laundry tub combined with a glass top come together as the creative coffee table for this lounge area. Seating comes next. Once you have your table, decide whether you want the seats to fit the same style or create variety. Also, consider space. If your patio is cramped, you don’t want bulky chairs—stools might be best. You might even be able to get them for free—these wood stools were cut from an old ceiling beam. Besides the practicality of lighting, lights will help set the mood of your flea market patio. If you want to go all vintage, find a few old lanterns—you could even convert kerosene lanterns to hold candles. If you can’t hang the lanterns, stand them on the ground along the edge of your space. If you do have a roof or cover, you could also look for strings of lights, which would provide more light and a modern look. A rusted 1950s shell-back lawn chair can be a steal at a flea market. Embrace the rust! It can add a charm to your patio. Just be sure to sand and give it a clear coat to protect yourself from possible scratches. Let’s face it—most outdoor seating isn’t very comfortable. It has to withstand the elements, so it’s usually bare plastic, wood or metal. Add pillows and cushions to your seats to make them more comfortable. Get creative with a variety of fabrics from the flea market. Everything from old aprons and curtains and burlap sacks tablecloths can be sewed into a simple pillow cover. Just remember to store the pillows inside, or they’ll be ruined quickly. Anything can be the perfect vase to fill with cuts from your garden or bouquets from the farmer’s market. Pot your plants in creative containers like vintage metal tins or zinc buckets. You can also turn almost anything into hanging baskets– think colanders, rattan handbags or old storage baskets. 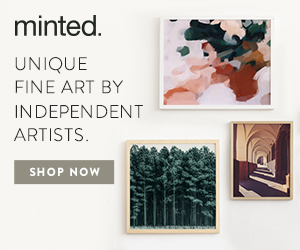 Gardenista is filled with easy and approach ideas full of creativity and style. We couldn’t’ recommend it more. 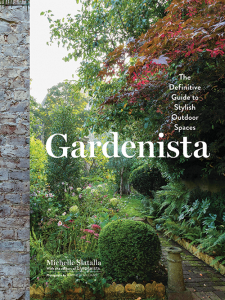 Gardenista: The Definitive Guide to Stylish Outdoor Spaces by Michelle Slatalla, published by Artisan Publishing, © 2016; artisanbooks.com. 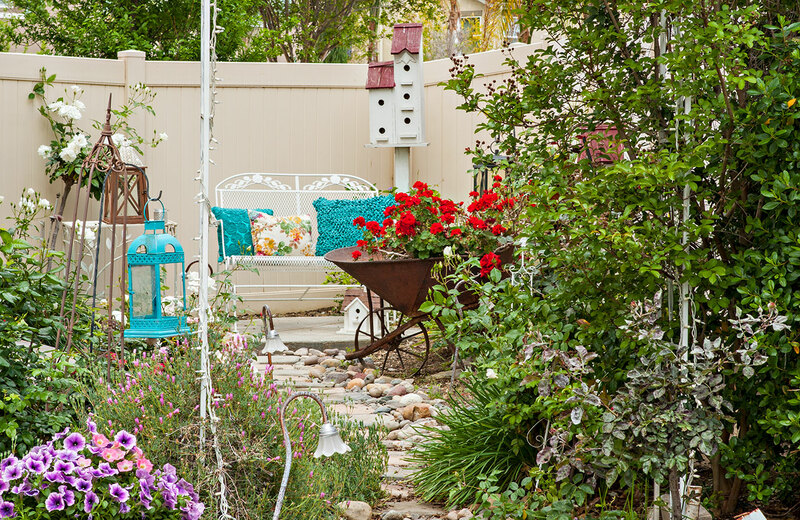 Hunting for more garden décor ideas? How about expert tips from landscape-designer-to-the-stars, Teryl Ciarlo. Are you following us on Instagram, Facebook and Pinterest yet? 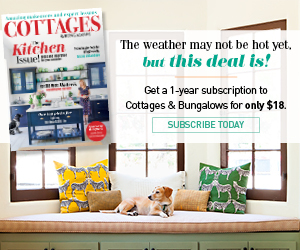 Click those links to get your daily dose of cottage inspiration!